Philadelphia can be an awfully small big city and while it is usually a comfort to see so many familiar faces, the web of connections that links together the powers that prevail in our city can be sticky -- and troubling. When we look at those in positions of power, we too often find connections that make us wonder whether independence and integrity are sacrificed to the interconnection of the web. The recent revelations surrounding the goings on at the Philadelphia Housing Authority raise questions about whether too many connections equal too little autonomy. 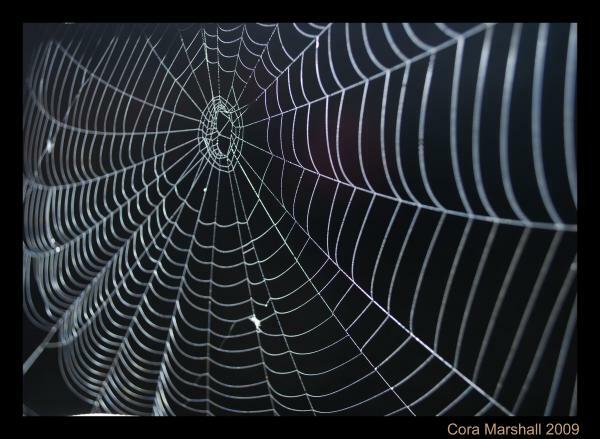 Perhaps, when caught in the web, it becomes too easy to be compromised when all those strands of connection are tugging in so many different ways. The web catches a watchdog who doesn’t want us to watch what he is doing. It's clear that some of the folks who are supposed to be watching out for us are doing their best to make sure that we don't see what it is that they, themselves, are doing. The web ties them all together -- the overseers and the overseen. How can we expect effective oversight if the watchdog, himself, is connected to ongoing malfeasance? The web ties fiscal overseers with financial compensation. The Chair of Philadelphia's state-appointed fiscal-oversight board is charged with leadership of the authority that reviews and approves (or disapproves) Philadelphia's Five-Year Financial Plan. The Plan, authored by the Mayor and formally reviewed by the City Controller, is an important document that should be considered on its merits free from any other compromising factors. But, when we read in the paper that the Housing Authority, under the leadership of appointees of the Mayor and City Controller, is also a well-paying client of the Chair of the fiscal-oversight board (and also a client of the wife of the Chair), we can't help but wonder where financial dependence begins and political independence ends. (Check it out) Whether the web tugs gently or mightily, we don't know, but we can't help but feel that its ties matter and in a city full of competent and independent lawyers, it is disturbing that only the usual suspects are considered for certain jobs. Muckraker Upton Sinclair once wrote, "It is difficult to get a man to understand something when his salary depends upon his not understanding it." We count on the oversight board to understand how important it is that the City has a balanced and realistic Financial Plan and it is frustrating to see financial connections where money could be used as influence to blur that understanding. The web snares a strong Mayor trying to exercise his muscles. With all the problems coming to light at PHA, there has been talk about altering the governance of the authority and giving the Mayor direct and total control of the agency. Conceptually, in Philadelphia's strong-mayor form of government, it makes sense to have the buck stop with the chief executive. The Mayor currently appoints two members of the PHA Board, but he has been so disengaged in the Authority's operations that he has not deigned to make an appointment to fill a spot of a Board Member with an expired term. The seat is currently filled by a member of City Council who will continue on the Board until the Mayor decides what to do with his appointment power. Strengthening the powers of a strong mayor may make some sense, but if he won't engage and use his existing ability to exert leadership -- or if he is going to appoint others connected so tightly to the sticky web -- then why bother giving him new powers? If we are ever to cut out the shenanigans -- the waste of public money, the fraud committed in the public arena, and the abuse of the public trust -- we need to break free of the web. Politics might be the art of compromise, but it doesn't always have to be practiced only by those who are compromised.